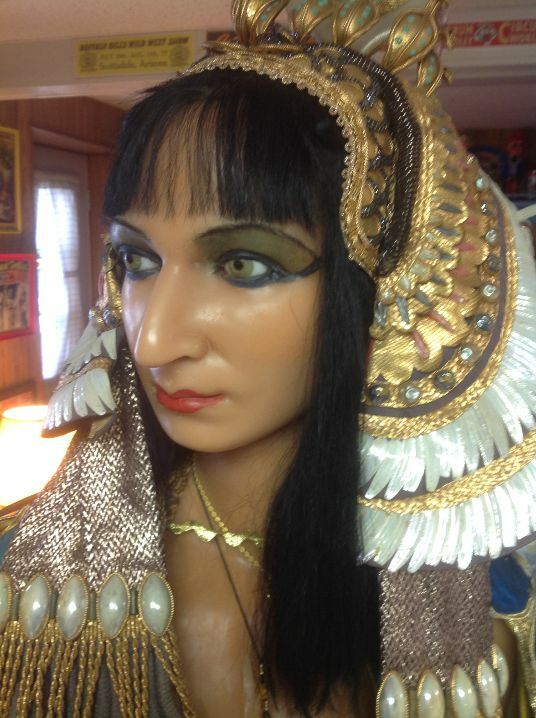 Vintage wax museum full body Cleopatra figure in as found condition. 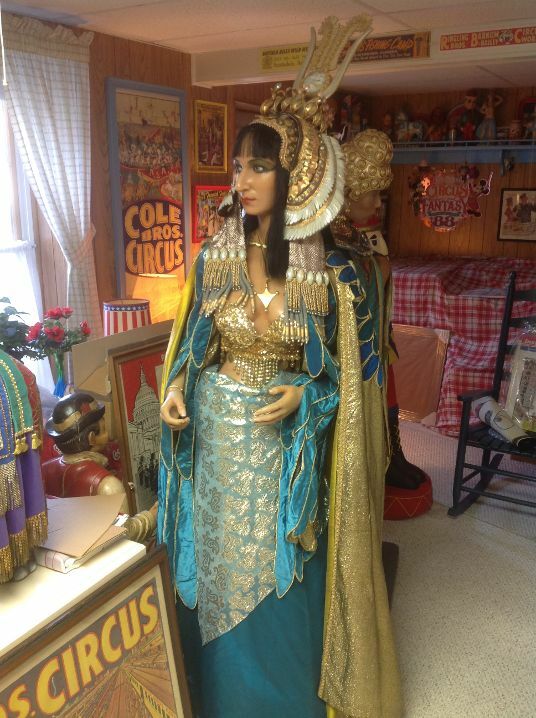 Cleo, to her friends, is from the Vermont Wax Museum that closed its doors many years ago. 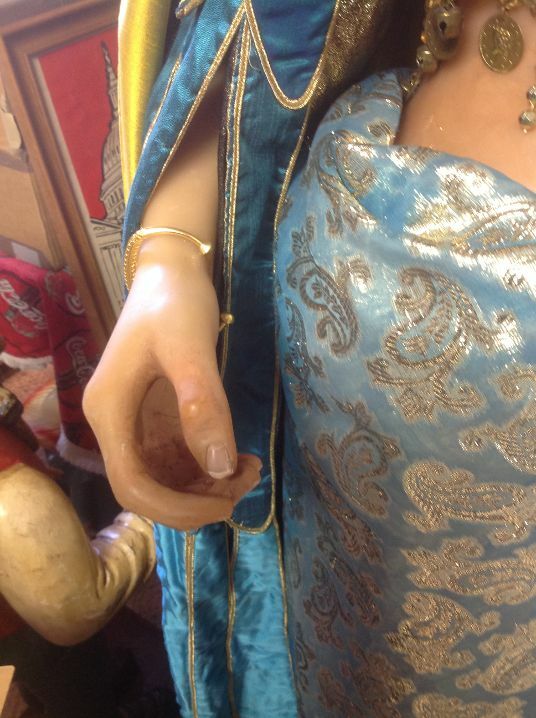 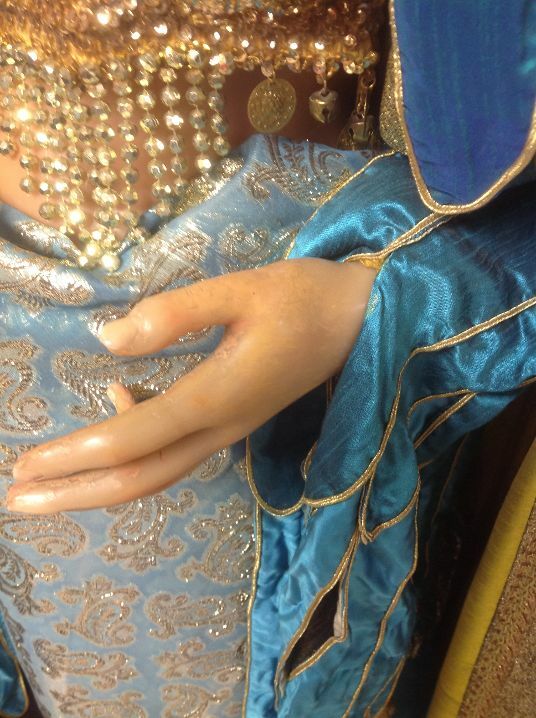 Fantastic wax detailing and beautiful costume………..